My friend and trainer Amanda is going to be headed to the Caribbean on vacation over the holidays. I jokingly told her that she should do Caribbean Christmas nails but when I got home I figured I would give it a try myself. The Gradient is done using Illamasqua Cameo, Harem and Jo'Mina. I didn't use a white base because I wanted it to look more sheer and I am happy with how it came out. In person, it almost looks like mist floating across the water. I used acrylic paint in black to paint on Santa's sleigh and reindeer along with some palm trees adorned with a Christmas stocking. 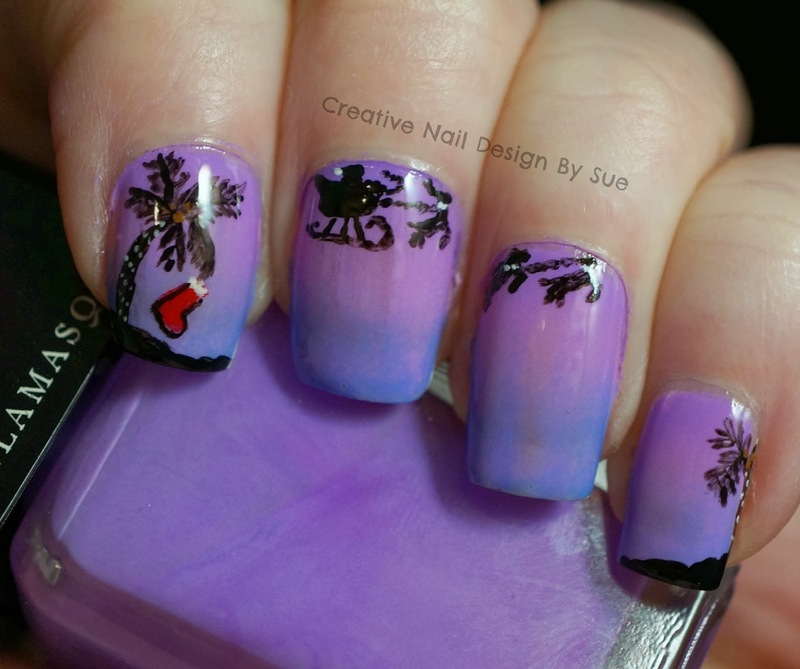 Perfect gradient and that stocking in the palmtree is awesome!